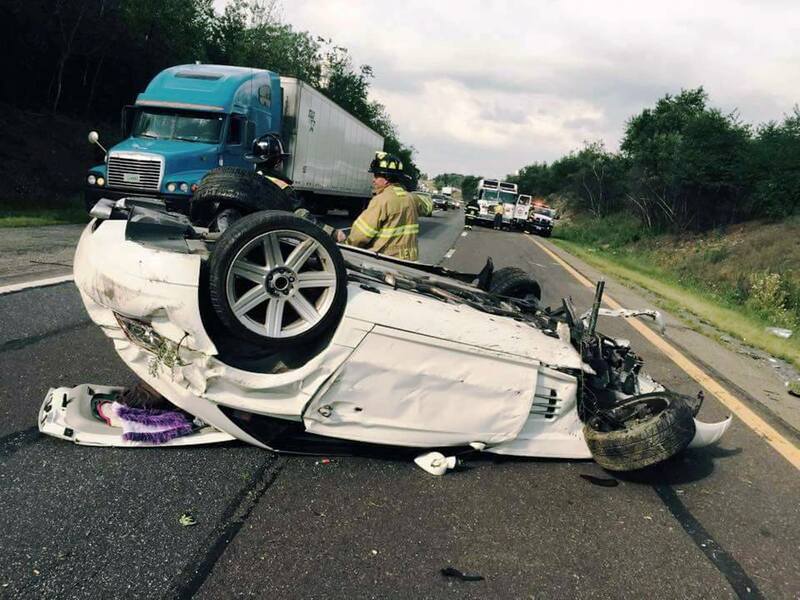 An unidentified woman was flown to the hospital yesterday (Wednesday, August 19, 2015) after a vehicle rollover on Interstate 81 southbound just south of the Mahanoy City/Hometown exit. Emergency responders were dispatched to the area around mile marker 129 for a report of a vehicle rollover with possible ejection. The helicopter landed at the Schuylkill Mall in Frackville. Traffic was backed up for miles until crews could respond and clear the scene. There was also talk that the mother was inquiring about the whereabouts of children, although that information is not confirmed.